Wisława Szymborska was born in a small town in western Poland. In 1931, her family moved to Kraków, where Wisława lived and worked for the rest of her life. At the outbreak of World War II, she continued her education in underground classes. From 1943, she was employed as a worker on the railroad and thus managed to avoid deportation to Germany for forced labor. During this time her career as an artist began with illustrations for an English-language textbook. She began writing stories and occasional poems. In 1945, she began studying Polish literature before switching to sociology at the Jagiellonian University. She published her first poem "Szukam słowa" (Looking for Words) in the daily newspaper Dziennik Polski in 1945. Her poems continued to be published in various newspapers and periodicals for a number of years. In 1948, she was forced to quit her studies without a degree due to financial problems. That same year, she married Adam Włodek, also a poet; the couple divorced in 1954. She worked as a secretary and illustrator for an educational biweekly magazine. Her first book was to be published in 1949, but it did not pass Communist censorship requirements. Wisława Szymborska used socialist themes in her early work, as seen in her debut collection Dlatego żyjemy (That is What We are Living For), and became a member of the ruling Polish United Workers' Party. Like many other Polish intellectual, however, she gradually grew disillusioned by socialist ideology and renounced her earlier political work. Although she did not officially leave the party until 1966, she began to establish contacts with political and artistic dissidents. In 1953, she joined the staff of the literary review Życie Literackie (Literary Life), where she continued to work for nearly 30 years, and from 1968 had her own book review column. Many of her essays from this period were later published in book form. She was also an editor of the monthly magazine NaGlos. In the 1980s, she intensified her oppositional activities, contributing anonymously to the samizdat literature, as well as to the Paris-based periodical Kultura. She also translated French literature into Polish, in particular the works of Agrippa d'Aubigné. She published 15 books of poetry and became internationally famous after winning the Nobel Prize for Literature in 1996. 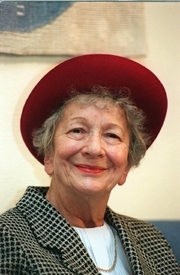 Wisława Szymborska is currently considered a "single author." If one or more works are by a distinct, homonymous authors, go ahead and split the author. Wisława Szymborska is composed of 15 names. You can examine and separate out names.